September is here and Emilybooks is back! And the sunshine means that life doesn’t feel too horribly back-to-schooly, though I have only just managed to resist the annual urge to go out and buy a pencil case and other snazzy new stationery. 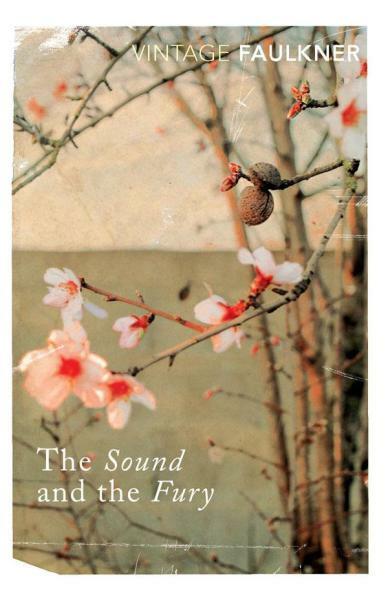 The Sound and the Fury by Faulkner. A bookshop colleague’s favourite book, therefore a must-read. I think I was only just up to the challenge, however, for it is a strange narrative and demands a great deal of careful attention and work from the reader … Ultimately it is of course a brilliant, unusual and memorable book – well worth persevering with, but perhaps it wasn’t the right pick for a holiday read. High Wages by Dorothy Whipple. This was read almost entirely on a train journey from Cornwall to London, while sitting opposite the husband who was ensconced in another excellent Persephone Book – The Home-Maker by Dorothy Canfield Fisher. 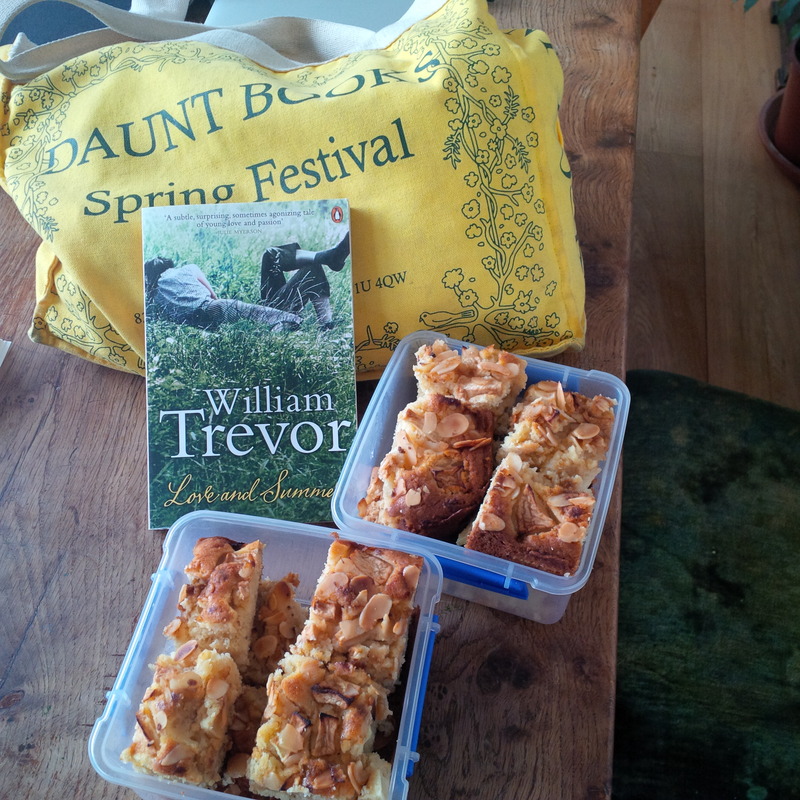 About half-way through, we discovered some surprisingly yummy cheese on toast was available from the buffet car and so sat there in heaven, noses in beautiful grey covers, scoffing delicious snacks and even more delicious words. Best train journey ever. 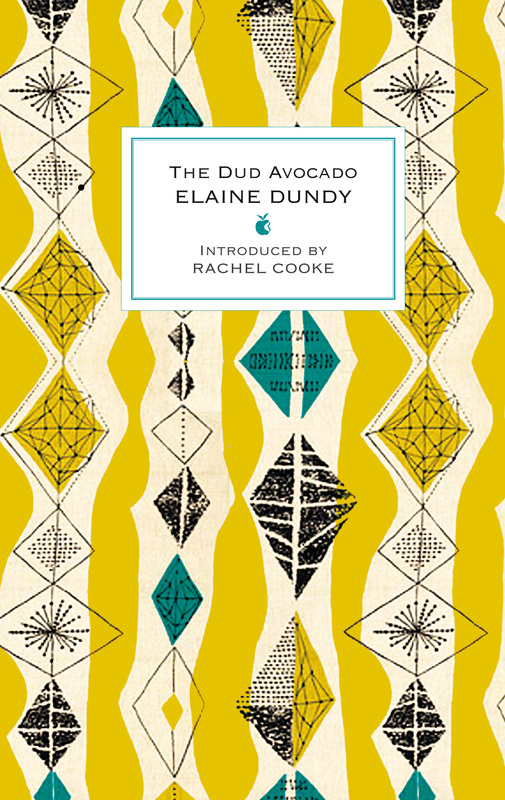 The Dud Avocado by Elaine Dundy. Another wonderful feel-good book. You cannot fail to warm to the exuberant and charmingly disorganised Sally Jay Gorce, whose voice leaps off the page and races through you like the thousand volts she feels when Larry touches her hand over coffee one morning, when she is, of course, in her evening dress because all her other clothes are still at the laundry. It’s the ultimate girl-about-town novel, set in Paris in the fifties and as I read it, mostly in the bath, with my sizeable bump kicking away, I felt the peculiarly pleasant tug of nostalgia and longing for those wild days of disorganised freedom now well and truly gone. 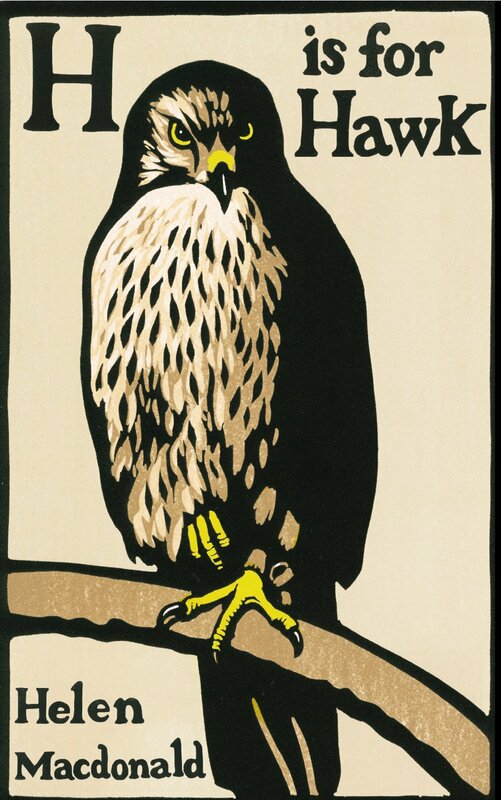 H is for Hawk by Helen Macdonald. Have you seen all the rave reviews for this? The last time I saw such a fuss about an unusual-sounding hard-to-pin-down non-fiction book was for Edmund de Waal’s The Hare with Amber Eyes. So of course I had to read it. And it is indeed staggeringly good. the colour of sunned newsprint, of tea-stained paper … patterned with a shower of falling raindrops … [and with] a strange grey tint to her that is felt, rather than seen, a kind of silvery light like a rainy sky reflected from the surface of a river. Helen retreats from other people and becomes almost part-hawk herself as she trains Mabel. It is an astonishing piece of writing about the special intimacy of a relationship with an animal, along the lines of books like Gavin Maxwell’s The Ring of Bright Water. But the book it really draws upon is T.H. White’s The Goshawk, which I’m ashamed to say I’ve not read. Fear not, for Helen tells us the haunting story of T.H. White’s life and his goshawk as we go. It’s not easy to explain why this book about hawks and death and T.H. White is quite so brilliant, just as it was hard to pinpoint what was so great about a book about a family history and a load of netsuke, but then I rather like that difficulty. For it means that only those with a true sense of curiosity and an urge to take a risk on something unusual will get to read H is for Hawk. And perhaps it’s only them who deserve the fruits of such a wonderful book. 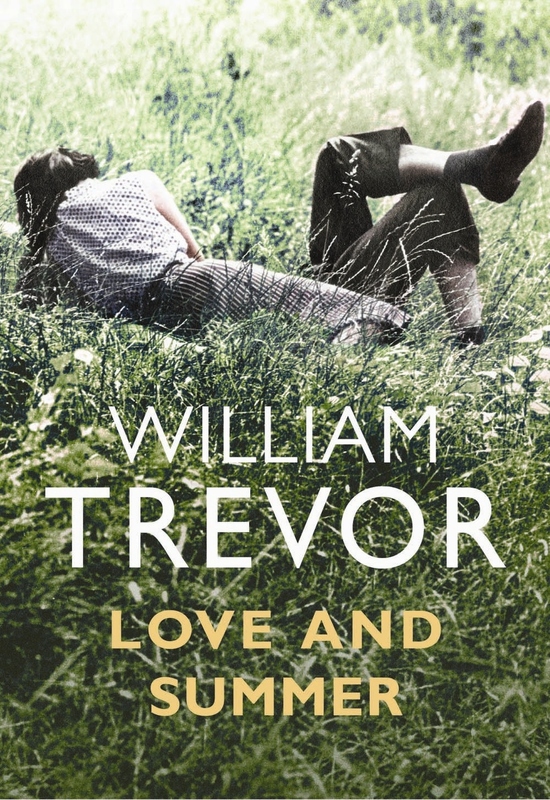 Finally, Emily’s Walking Book Club met yesterday for a meander across Hampstead Heath while discussing William Trevor’s Love and Summer. Though it took me some time to get into the book – I needed a little while to adjust to the slow pace of 1950s rural Irish life and the fragmented style that sees each short chapter concern itself with a different character – once I was in, I loved it. This seemed to be the consensus amongst the walking book clubbers too. Fourteen more eggs had been laid and she collected them in the cracked brown bowl that had become part of her daily existence. Closing the gate again when she left the crab-apple orchard, she slipped the loop of chain over the gatepost. He had a way of hesitating before he spoke, of looking away for a moment and then looking back. He had a way of holding a cigarette. When he’d offered her one he’d tapped one out of the packet for himself and hadn’t lit it. The rest of the time he was with her he’d held it, unlit, between his fingers. Slowly, both hands clasped round the brown egg-bowl, she returned to the house. The relationship between Ellie and Florian develops and they take to meeting in the crumbling gate-lodge of a derelict grand old house. But they are not wholly unobserved. Local busybody Miss Connulty sees they are up to no good, and the crazy old wise man Orpen Wells, who lives in a confused timeless world, senses something is up too. Florian’s intentions aren’t particularly honourable, planning on selling up his own decaying house, inherited from his bohemian parents, and leaving for Scandinavia; he is not so much in love with Ellie as enjoying her innocent love for him. We know it can only end badly … and yet, this is what is so clever about the book: although the atmosphere is suffused with the quiet melancholy of sadness and compromise, subtle strains of happiness begin to surface. If there’s a child don’t let anyone take the child away from you. Born as Dillahan’s own since he believed it was, the child would make a family man of him again, and make the farmhouse different. And her own friendship with Ellie Dillahan would not be strained … the friendship would be closer, both of them knowing it could be, neither of them saying what should not be said and never would be. Last week, I was lucky enough to chair a talk about river writing. 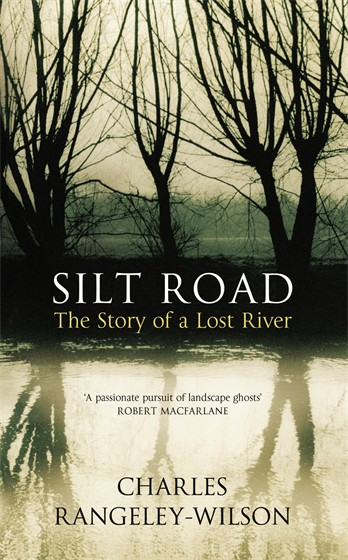 The speakers were Olivia Laing, who was talking about her beautiful book To the River (which I wrote about here), and Charles Rangeley-Wilson, who spoke about his fascinating search for a lost river, Silt Road. I really enjoyed listening to them discuss the many parallels in their experiences of these chalk streams – The Ouse and The (High Wycombe) Wye. Both wrote a great deal about fossils, love, death, and also stories. Cherry, a sixteen-year-old girl, left her family in Cornwall to go into service. She was sitting on the Downs crying with homesickness, when a gentleman came towards her. He offered her a job working for him and looking after his son. Cherry didn’t understand everything he said, for he spoke in a flowery way, but she decided to take the job. They went together down a long sloping lane shaded with trees, so that the sun was barely visible. At length they came to a stream of clear dark water that ran across the road. Cherry didn’t know how she’d ford this brook, but the gentleman slipped an arm about her waist and scooped her up, so she wouldn’t wet her feet. One morning… taking a crumb of ointment, she put it in her eye. How it burned! She ran to the stream to wash away the smarting and there she saw at the bottom of the water hundreds of little people dancing, and there was her master, as small as the others, dancing with them and kissing the ladies as they passed. It’s not long before her faery master finds out she’s taken the ointment and sends her packing. There was once a very long time ago, a beautiful young girl who lived in the castle by the lough. She was betrothed to a king’s son, but the story goes that the prince was murdered and thrown into the lough and that she went out of her mind, the poor, tender-hearted girl, and pined for him until at last, so it was thought, the fairies took her away. But then, this white trout appeared in the stream, though it had never been seen before, and there it has remained for years and years, longer than I can express, and beyond the memory of even the oldest hereabouts, until at last the people came to believe that the white trout was a fairy, and so it was treasured and no harm was ever done to it. None, that is, until a band of wicked soldiers came to these parts and laughed and gibed [at] the people for thinking like this and one of the soldiers said he would catch the trout and eat it for his supper. Well he caught it and took it home and the trout cried out when he pitched it into the frying pan, though it would not cook no matter which way he turned the fish or how hot he made the fire, until in exasperation the soldier lunged at the trout with a fork and there came a murdering screech such as you’ve never heard before and the trout jumped out of the pan and on to the floor and out of the spot where it fell rose up the most beautiful lady you’ve ever seen, all dressed in white with a band of gold in her hair and a stream of blood running down her arm. “Look where you cut me you villain,” said the girl. “Why did you not leave me watching out for my true love? For he is coming for me by the river, and if he comes while I am away and I miss him I’ll hunt you down for evermore, so long as grass grows and water runs.” And no sooner had she spoken than the girl vanished and there on the kitchen floor was the white trout and the soldier picked up the bleeding fish and rushed with it to the river. He ran and ran for fear her lover would come while she was away, and descending into this cavern he threw her back into the river and there she has stayed evermore and to this day the trout is marked with red spots where the fork pierced its side. I hadn’t known that fairies and rivers were so closely linked. I love the thought of little fairies dancing and kissing each other in the stream. Perhaps that’s why the water feels so cool and tickly when you paddle in it. one of the most formidable of the many river-spirits lurking in rivers and streams, waiting their chance to drown women and children. Estrildis and Sabrina her daugher be flung into the river that is now called Severn, issuing an edict throughout all Britain that the river should be called by the damsel’s name … whereby it cometh to pass that even to this day the river in the British tongue is called Sabren, which by corruption in other speech is called Severn. Sad stories of rivers abound. 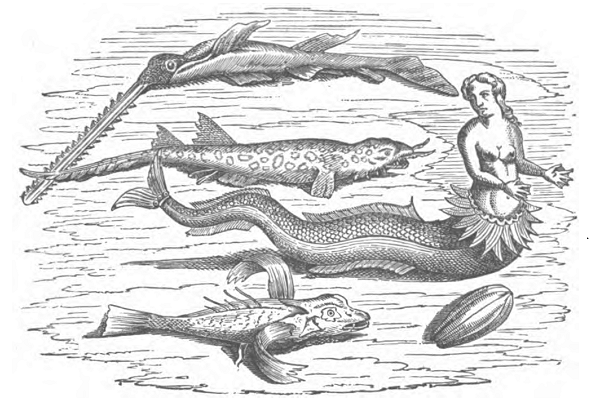 I dutifully looked up freshwater mermaids, but found that they aren’t any more gentle than these river-spirits, and lurk in rivers, pits and pools to lure children beneath to their death. I’m struck by the darkness felt in these stories, an unnatural sinister edge to the natural beauty of a river. Rivers give life but also bring death. Perhaps only something other-worldy can begin to explain the strange pull of a river, its magnetism that is strong enough to pull you out of this world altogether. Perhaps it was comforting to blame the many drownings on the fairies rather than natural force, or human error. Was Virginia Woolf lured by a mermaid or a river-spirit into the Ouse? I doubt that Leonard would have found comfort in this. To me, these stories of ill-meaning river-spirits suggest the anarchy of a river, its stubborn wilfulness and refusal to be governed by man. Charles Rangeley-Wilson, whose book hopes for the re-emergence of the River Wye – now buried under a shopping mall – should take courage from these tales. Midsummer’s Eve is just around the corner – a time when, legend has it, the gap narrows between human and fairy worlds. Beware the river-spirits and freshwater mermaids! 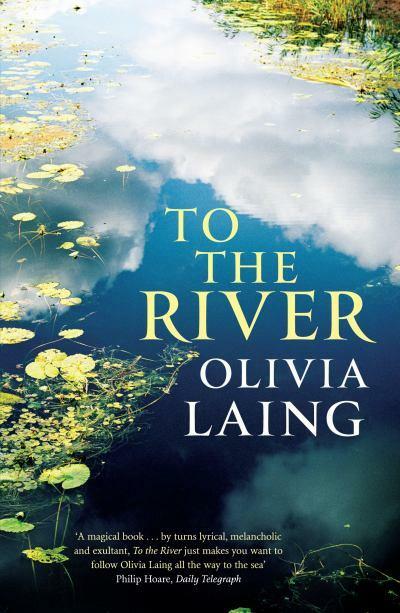 It is also the time that Olivia Laing walked along the River Ouse for her book. Did she, like Shakespeare’s Hermia and Cherry of Zennor “see things with parted eye”? At least she escaped the clutches of the fairies and mermaids and returned to tell her tales. I’d be quite happy for fairies to dance around my paddling feet, although I have to confess, I feel a little wary of getting too close to a river right now, just in case a mermaid were to pull me under. It is, for sure, at least a fine time to read about them. I was thrilled to have the opportunity to quote one of the few lines of poetry I can ever remember at a party a few years ago. I’d got chatting to a someone, and when I asked him where he was from, he said he was from a tiny village in the middle of nowhere, which no-one had ever heard of. Try me, I said. It’s called Adlestrop. Yes, I do remember Adlestrop. I remember reading it at school and thinking it was an incredibly special poem. Not least, for the lovely name of the village, thick with consonants and countryside. But I can never remember much more of the poem, and so for years just that tantalising little phrase has been lurking at the back of my mind, making me wonder what could come next, what was it about that poem that made that first line so resonant. So I was thrilled to see on the cover of the Guardian’s Review section a few weeks ago a piece by Matthew Hollis about the friendship between Edward Thomas – writer of ‘Adlestrop’ – and Robert Frost. This friendship is the subject of a new book by Hollis, Now All Roads Lead to France, which looks absolutely brilliant and has had widespread glowing reviews. I long to read it. But, unfortunately, I have so much to read right now, I fear I’ll have to wait for a few weeks. I hate that feeling of not being able to read something when I want to. Of being stuck on something else, which one first has to finish. It’s a bit like wanting a huge slice of chocolate cake but only being on your smoked salmon starter – you’re enjoying what you’re eating at the moment, but, really, it’s never going to be as good as pudding and there’s a whole main course to get through too. Also, imagine if everyone else were already tucking into their chocolate cake. So not only is the anticipation agony, but you feel somewhat left behind, missing out on this treat on which everyone else is already gorging. 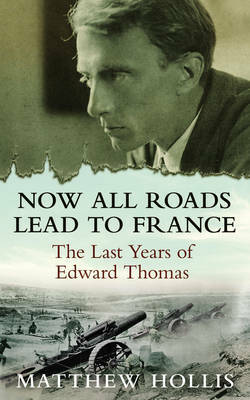 But, in an unusual stroke of luck, the good people at Faber have published a new collection of Edward Thomas’s poems – edited by Matthew Hollis – to tie in with the publication of Now All Roads Lead to France. And, while I might not have time right now to read the biography, one can always find time to read poetry. Unwontedly. It was late June. The steam hissed. Someone cleared his throat. Than the high cloudlets in the sky. It’s a very beautiful poem. And this weekend was a rather good time for me to read it because on Sunday some friends and I went for a ten-mile walk in the countryside. We might not have been in Oxfordshire or Gloucestershire, so didn’t pass Adlestrop, but we walked around the impossibly pretty Dedham – Constable Country – which was just as green and beautiful. Towards the end of the walk, when our route led us from Flatford to Manningtree, we walked for a couple of miles through quite astonishing flat wetlands. All around the path were long grasses and, in the background, rolling meadows, complete with ‘haycocks dry’. 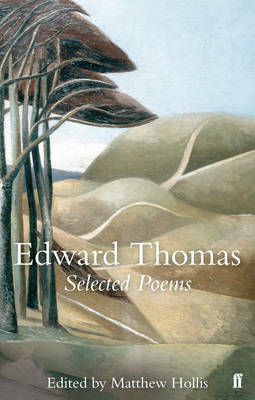 The way Thomas lists everything gives the impression of a keen naturalist looking at the landscape, trying to document it, but feeling simultaneously overwhelmed by the beauty of it. There are willows, there willow-herb and grass, oh and look over there at the meadowsweet, and the haycocks! We saw some beautiful willow trees, and incredible poplars, and a long hawthorn hedge. It was the same feeling of – oh look at all of these incredible things! There was a pleasure in being able to recognise them, to tell the different trees and plants apart from each other – and then so much more pleasure at the abundance of it, at how it stretches out on all sides as far as one can see. It is the same feeling Thomas evokes with the birds: there is the beauty of one blackbird and then all the birds, ‘mistier’, stretching out beyond the horizon. Unluckily, on our way home, our express train drew up unwontedly at Shenfield, a station which lacked the romance of Adlestrop. The air conditioning in our carriage was broken, so it certainly was an afternoon ‘of heat’. We were informed that due to a person who’d been hit by a train near Ilford our train would be terminating at Shenfield. Rather than the magical silence and stillness of Thomas’s Adlestrop, we disembarked on to the very crowded platform, then had to wait for half an hour outside Shenfield Tandoori for a taxi to take us to Upminster, where we could get the tube the rest of the way home. Adlestrop beats Shenfield hands down. But all the rapturous nature stuff isn’t what got me hooked all those years ago, when I read it in my final year of school. I was definitely moved by the evocation of a perfect pocket of the English countryside, especially as the poem was written during the First World War. This is what we’re fighting for, Thomas seems to say, this peacefulness and harmony of nature, in such sharp contrast to the horrors of the trenches. But what really got me, and what still gets me, is the feeling of a moment of stillness. It is a very special moment of not moving, of waiting, where everything feels so hyperreal it’s like a dream. And that feeling of being in-between, of coming from one place, about to go somewhere else, but in the meantime – just for a moment – waiting utterly still, is similar to the feeling at the end of school. It’s a time when everyone’s thinking about what will happen next, but nobody’s quite there yet. It’s a moment of realising that the current situation is coming to an end, which makes one all the more aware of it. The question was posed to me by a stockbroker at a rather smart drinks party where I was one of about three people there who weren’t bankers or lawyers. This question came after the stockbroker had already said how boring it must be to work in a bookshop and that he only read five or six books a year – all of them thrillers (‘like John Grisham’) and ‘only when I’m on holiday on a beach somewhere’. So, given that it was more than clear that the last thing he wanted to do in his free time was read a proper book, even though his job wasn’t anything like working in a bookshop (although ‘it’s really interesting, it means I get to meet all these really important people and grill them about their companies’), I’m not really sure from whence his logic sprang. Last night was a peculiarly apt time for him to ask me that question. I shall try to explain why working in a bookshop makes me want to read more than anything else. In yesterday’s lunchbreak, I finished reading the Review section, left over from Saturday’s Guardian. I’m sure I’ve already mentioned that this is my favourite bit of newspaper in the world ever. 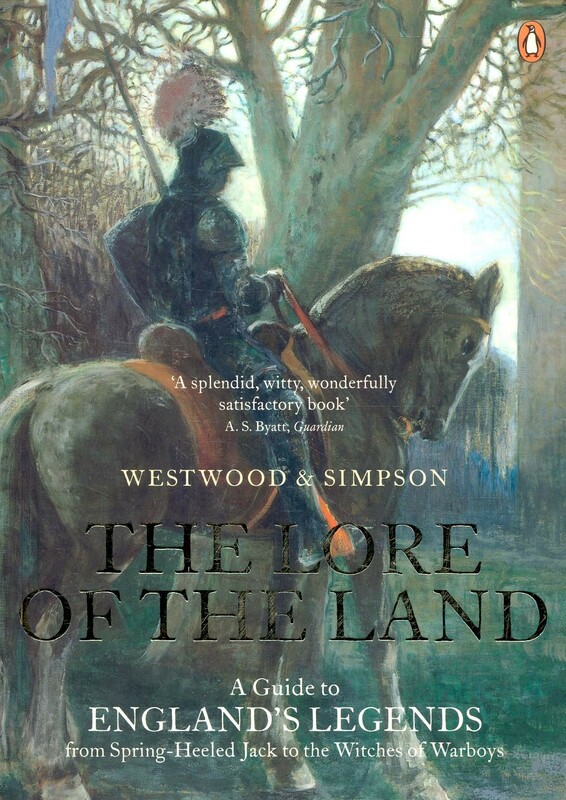 As I was coming to the end, I stumbled upon a phenomenal review by Ian Sinclair of Richard Mabey’s The Unofficial Countryside, reissued for the first time since the early 1970s. It’s a fascinating article; you can read it here. This book is an investigation into the wildness of London – marginal sites of dereliction where nature can once again take hold. And not always so marginal – Sinclair quotes Mabey, ‘The first summer after the blitz there were rosebays flowering on over three-quarters of the bombed sites in London, defiant sparks of life amongst the desolation.’ He describes The Unofficial Countryside as a ‘pivot’ between nature writing and psychogeography. A combination of walking and writing, exploring and documenting. I jumped up after lunch incredibly excited. I had glanced the book in the shop and couldn’t wait to get back and have a closer look. A mere two minutes after reading the review, I held the book in my hands. It’s smooth cover was decorated with a pleasingly grimy picture of an electricity pylon surrounded by grey-green land. I flicked through – thick paper, several hand-drawn illustrations. I skimmed a few paragraphs of the prologue – Mabey’s account of the book’s origination, on finding un unexpected scattering of countryside by a canal in London’s suburbia, after ‘what they call a normal working day. Bitching at the office, brooding over lunch.’ He drew comfort from ‘a brilliant spike of purple loosestrife’, and the incongruously peaceful atmosphere that made it feel natural to exchange greetings with a bicycling worker, ‘as if we had been in a country lane’. My excitement soared. Gosh what a beautiful object I held in my hands. How perfectly written. How hopeful. ‘The trees can live next to the cranes’, he writes. This is probably going to be one of the best books I will ever read. I rushed straight up to the till and bought it, with my generous staff discount. I didn’t even go and stash the book away in my bag downstairs, but kept it out, next to the till, reminding me of what was waiting for me as soon as I finished work. But, of course, I couldn’t hurry straight back home and read my new book. I had to go to this drinks party, on the other side of London. Can I really be bothered? I asked myself. Do I really need to go? I’m sure I’ll see everyone soon in any case. And wouldn’t it be just heaven to go home and read this book? Wouldn’t I learn more from reading it? Wouldn’t I enjoy it more than making small talk for a couple of hours? No no no … I was firm with myself. It is ridiculous to not show up at a party at the last minute, with only the excuse of needing to read a book. I’d be giving up an evening of seeing my friends, of chatting to them, catching up, discussing ideas, gaining my own experiences rather than living vicariously through someone else’s. And so I went to the party. And I got chatting to this stockbroker. And he really thought that being surrounded by books all day was boring. That talking about books all day was nothing much. And that spending so much time breathing in the books meant that I’d be desperate to escape them. If only he knew that I’d much rather have been reading the book I’d just bought. And that I was able to own this book – this magnificent, life-enriching object – so soon after discovering its existence, entirely thanks to working next to it all day long. I can only hope that he feels the same about buying and selling equity. ‘Do you like the great outdoors, you know, being out in the countryside?’ a young man from Norfolk asked me at a party the other day. We’d been talking to an American chap, who’d said he was longing to go to Alaska, to be out in the wild. The Norfolkian and I admitted that all we really knew about Alaska was that it was big, cold and had bears, and that Werner Herzog made a film about that guy who was eaten by one. The American looked puzzled. I don’t think he’d seen the film. And that’s when the Norfolkian, evidently realising that we needed to get the conversation beyond Alaska, turned to me and asked the question. It’s a difficult question to answer. The countryside seems to be a bit like that cliché about Communism: wonderful in theory, but not in practice. I like the idea of nature, I love reading about it, but the real thing is often a bit of a letdown. I suppose, for me, the ‘great’ outdoors is in the city, not the countryside. As Virginia Woolf’s Mrs Dalloway says, ‘I love walking in London … Really, it’s better than walking in the country.’ I’m afraid I can’t help but agree, especially the way Mrs Dalloway walks. As I mentioned in a previous post, her walking allows her mind to wander, dart from thought to thought, endlessly inspired by her catching sight of something new. London is paradise for the distracted mind, filled with a million different things to catch a roving eye, countless connections to be formed, infinite paths along which thoughts can meander. The city is filled in with narratives, which have been extruded like psychic mastic into its fissures. There is no road I haven’t fought on, no cul-de-sac I haven’t ended it all in, no alley I haven’t done it down. To traverse central London today, even in a car, even on autopilot, is still to run over a hundred memoirs. Spending one’s life in London, one can’t help but form ‘narratives’ associated with various streets. But that’s what I love about it. How magnificent to pass through Soho and remember, as I stroll down Frith Street, an awful date I went on in Arbutus, hilarious drunken school nights spent at Cheapskates, an old friend’s birthday party at the Arabic Restaurant on the corner, an argument I once had about which street the Palace Theatre (now showing Priscilla Queen of the Desert, then showing Les Mis) is on – we strode across London together, all the way to the theatre, both determined to prove our point. All of those stories remembered from, more or less, just one street. Perhaps Soho is cheating. It’s bang in Central London, of course there are hundreds of memories associated with it. But, for anyone who’s been in London for more than a year or so, pretty much every single part of London has a few thoughts associated with it. Even if one’s never been there, it’s on the tube map, a friend lives nearby or it’s come up in conversation. Take Morden, for example, right at the bottom of the Northern line. If I were to go there – and, I hasten to add, I haven’t yet – I would think, as I emerge from the tube, of my friend who used to be writing a novel about the Northern Line, in which he described Morden as other-worldly, doubting its real existence. I’d remember a silly pretend argument I had with someone about the Northern Line, mostly inspired by my friend’s book-in-progress, in which I’d said that Morden obviously didn’t really exist as it was too far away, and I was told that yes that it really did exist, in fact he took his driving test there. The name would make me think of Lord of the Rings – is it the inspiration behind ‘Mordor’? Tenuous links, perhaps, but links nonetheless – paths that my thoughts can tread along, as I tread along, as yet unseen, streets. I doubt there is a single pocket of London with which I have absolutely no associations whatsoever. It’s the nature of the sprawling, maze-like city. This doesn’t happen in the countryside. I can’t stroll through the woods and think, ah that was the oak tree where so and so said blah blah blah, and there’s the bush where whatshisname went and had a pee behind, and by that birch over there is where I tied my shoelace that time I went for a walk with thingummy. There is, I suppose, a giddy freedom in this untarnished mindscape. Thoughts can soar, free from association, solve problems, reach inspired conclusions, form lines of poetry. Fine for Wordsworth and Coleridge, but actually I need city distractions for my brain to function at its best. While my mind meanders through memories, treading already well-trodden routes, another part of it freely darts off and somehow finds the solution to whatever problem has been bothering me enough to make me feel restless and want to go for a walk in the first place. I find that surface distraction tends to enable more important processes to occur subconsciously. But then, in theory, I love the countryside. I love those books by Roger Deakin and Robert Macfarlane, rhapsodising about nature, writing so poetically about wild places and trees. Wildwood is one of my favourite books of all time, ever. I remember most fondly Deakin’s writing about walnut forests in Kyrgyzstan, filled with families decamped to harvest the walnuts, proudly presenting him with their prize specimens, everyone gorging on nuts, blackening their hands like charcoal. The Running Sky by Tim Dee is another stunning book of nature writing. I recently read this beautiful account of a birdwatching life, mingled with poetry (Dee also co-edited The Poetry of Birds with Simon Armitage), and adored it, even though I had never been birdwatching myself. As chance would have it, I found myself in Suffolk’s Snape Maltings a couple of weeks later only to see a sign for a guided birdwatching walk that morning. Perfect, I thought, here’s a chance to experience something I know I’ll love. We assembled at ten o’clock, a middle-aged couple plus dog, my mother and I, and, of course, our guide – a man from the RSPB. It was cold. We stood in the car park for a while, being told what we might see. Redbacks, gulls and some interesting water features, apparently. We then embarked on our walk, or shuffle, along a field. I was very excited, mostly because the RSPB man had lent me a pair of binoculars (the middle-aged couple had their own). The excitement wore off over the next forty minutes, as we shuffled along, painfully slowly, or stood still, painfully cold, peering through binoculars at a bunch of winged things in the distance, being told ‘those are redbacks, and those are gulls’. I’d rather read some of Tim Dee’s book any day. It could have just been bad luck. Over Christmas, I was in Devon and came across a flock of starlings while wandering along the estuary by Budleigh Salterton. They were forming the most astonishing shapes in the air and I stood their transfixed. I didn’t feel the cold, or even a flicker of boredom, then. The starlings’ flight is an astonishingly beautiful, wonderful (literally) thing of nature. And, of course, there are others. Several. And, when written about with deft skill, these natural wonders can be utterly breathtaking. But I’m more impressed by instances of human endeavour. I went to Dungeness, for instance, to see Derek Jarman’s garden. I’d just seen the Derek Jarman exhibition at the Serpentine and had been moved by his film Blue. I wanted to find out more about him and so made the pilgrimage down to this peculiar knobble of Kent. Dungeness is a strange and magnificent place, where bungalows squat on a shingle beach in the shadow of a nuclear power station. Derek Jarman’s garden, an eerie assembly of rocks, driftwood, found pieces of twisted metal, and local tough sea-resistant plants is incredible. As it so happened, my visit to Dungeness coincided with a troupe of keen birdwatchers – around twenty of them, who were excitedly running after a particular bird, which hadn’t been spotted in Kent for several years. The thrill of the chase was palpable as they birdily hopped along the shingle, stalking the, apparently unconcerned, bird. They didn’t look at the fishermen’s cottages and bungalows, the nuclear power station, the lighthouse soaring stripily up into the sky, or the garden. They had eyes only for the bird. I had driven all the way down from London to see the garden, to visit the place which I’d heard to be so bleak and yet so valiant. I didn’t think twice about it. But I know I’d never travel for miles, as they had done, to see a bird. And so walking in the city, where one is accosted with buildings, bridges, streets, squares, lights, statues … millions of things that have aesthetic value, is gorging at a feast of manmade wonder. Walking through the City (the financial bit) at the weekend, is astonishing. With the streets emptied of bankers, one can gaze freely upwards at the playful Lloyds building, the grand heavy décor of Leadenhall Market, feel the ever-present assertion of the Gherkin. I know I’d much rather walk there than through a peaceful, bucolic meadow. I’m not sure I like the fact that I’d rather be outdoors in the manmade world than in nature. I definitely don’t like the fact that I prefer nature writing to nature itself. Perhaps I need to experience it via someone else’s associations, as I haven’t spent enough time in it to form my own. Or perhaps, unlike William Blake, I simply lack the imagination ‘to see a world in a grain of sand, / and a heaven in a wild flower’. But, for now, I’m more than content to wander amidst London’s ever fascinating, ever complicated maze, thrilled to let it grow ever thicker with association.